After recent injury lay-off, Dewi Griffiths aims kick-start 2018 in Armagh ahead of the Commonwealth Games. A podium place and a 5k road personal best in the cathedral city last year was the catalyst for a stellar season and the Swansea Harrier hopes for the same again on Thursday night. His sub 14-minute clocking was the initiator of a series of personal bests – from 3000m on the track – to 10k on the road – and an eye-watering 2:09:49 marathon debut. However, following those magnificent performances, a hamstring injury at the European Cross Country Championships in December would somewhat dampen the mood on a perfect year. Some time out was required, but now back, there is a Commonwealth Games 5000m and 10,000m double on the horizon. So what better race to test your fitness than the fast Armagh 5k, a race Griffiths first competed in as a bright-eyed 16-year-old. 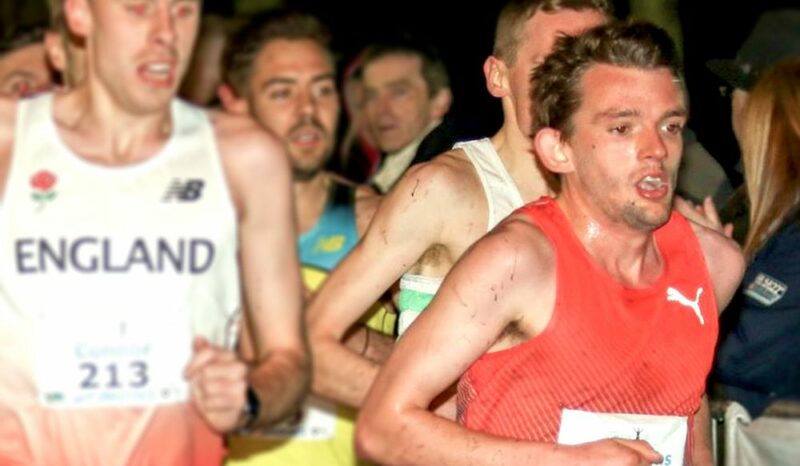 Having raced in Armagh eight times in the past decade his road 5k best has dropped from 14:49 in 2009 to 13:58 last year. Now gearing up his ninth appearance, Fast Running was intrigued to find out why the race has become a bedrock of his early season preparations. “As a 16-year-old I first raced as part of the Welsh team, Griffiths tells Fast Running. “I didn’t know much about the race, just that it was a fast course and had a great reputation. 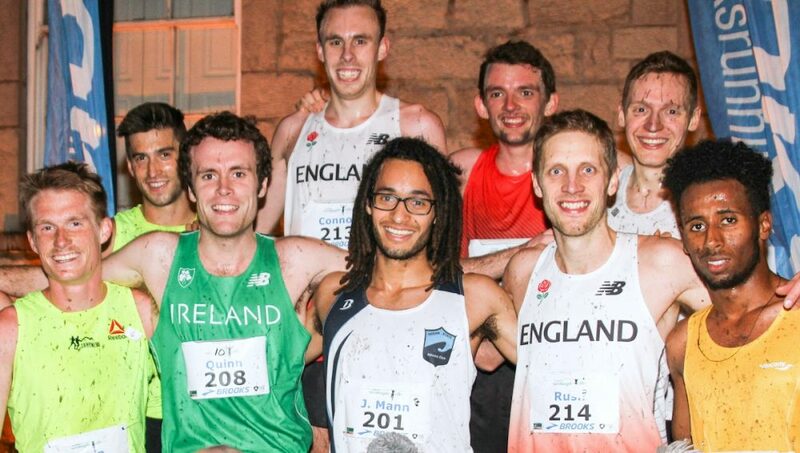 Griffiths is not alone in the runners who travel across from Great Britain and further afield on an annual basis, and it’s safe to say anyone who races in Armagh ends up returning eagerly for the experience again. “Last year Ben [Connor] won in 13:55 and 77 went sub 15. It just shows how compact everyone is. You are never isolated which is a major help in trying to run fast and the front guys really drag everyone along. “Unless you’re in sub 14 shape you won’t see the front and so you’re dragged around at your limit from the gun. Laura Weightman, the returning women’s 3k champion, was quick to praise the course when asked about her experience of the race, and specifically mentioned the fantastic atmosphere created from the supporters along the looped course. RELATED: What makes racing in Armagh so special? With a soon to be ninth appearance in Armagh, few have raced around the course as often -or as quick – as Griffiths, so what is his assessment? “I definitely enjoy running lapped races, they are more spectator friendly which adds to the atmosphere,” he explains. “The Armagh course is flat and fast and is essentially a massive 1k oval track on the road. “People go with the intention to run as fast as they can and the race is sort of a throwback to how racing was back in the day. “Tactics are thrown out the window and the only aim is to run as hard as you can for as long as you can. “The race goes off at suicidal pace and it’s survival of the fittest until the end. Kilometre splits get shouted out, so if you’re going well that can give you a massive boost if you’re on for a big performance. I’ve been in positions before going through the first kilometre in 2:45 and barely in a top 30 position. The depth of the race and almost guaranteed fast times is the main draw for the elite runners, but the club organisers also provide first-class hospitality before and after the race, this includes the post-race celebrations to say well done to the runners and everyone involved who helped organise another night of unforgettable racing. “Post-race, listening to skinny distance runners, two shandies in, trying to sing – or more accurately ruin – karaoke always make it an enjoyable couple of days,” says the Kevin Evans coached runner – highlighting that there is also a lighter side to the whole trip. Back to the task at hand and after finishing third last year it would take a brave person to bet against Griffiths moving further up the podium on Thursday night. However, the path back from injury is not an easy one, and although you may want to do nothing more than run hard and fast, the body can have other ideas. “The work that I did last year is still there somewhere, but I might need a couple of races and a bit more miles in the legs to get back to where I want. We will just have to wait and see what I have when the gun goes off. A preview of the two international races that begin with the women’s 3k at 8:05pm and men’s 5k at 8:25pm on Thursday (February 15) can be found here. Fast Running will help showcase a number of high-quality club organised races this year to highlight the great work that happens at the club level. Get in touch at team@fastrunning.com if you think your race deserves more coverage.